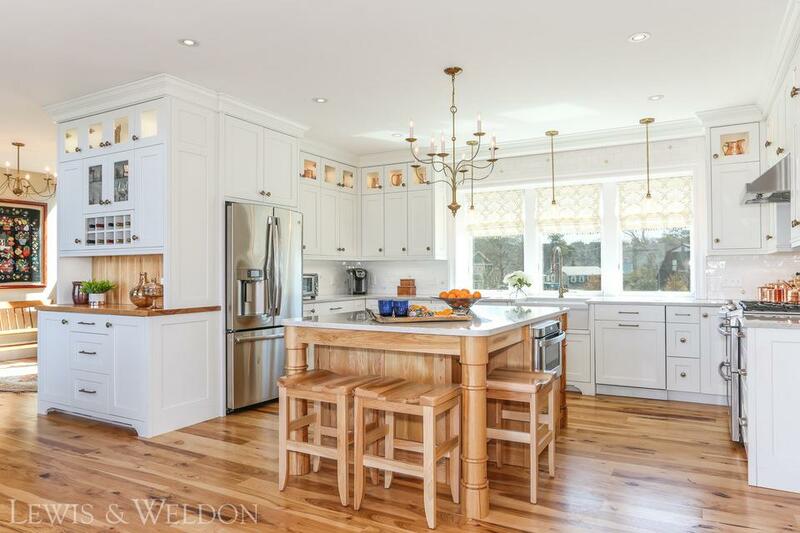 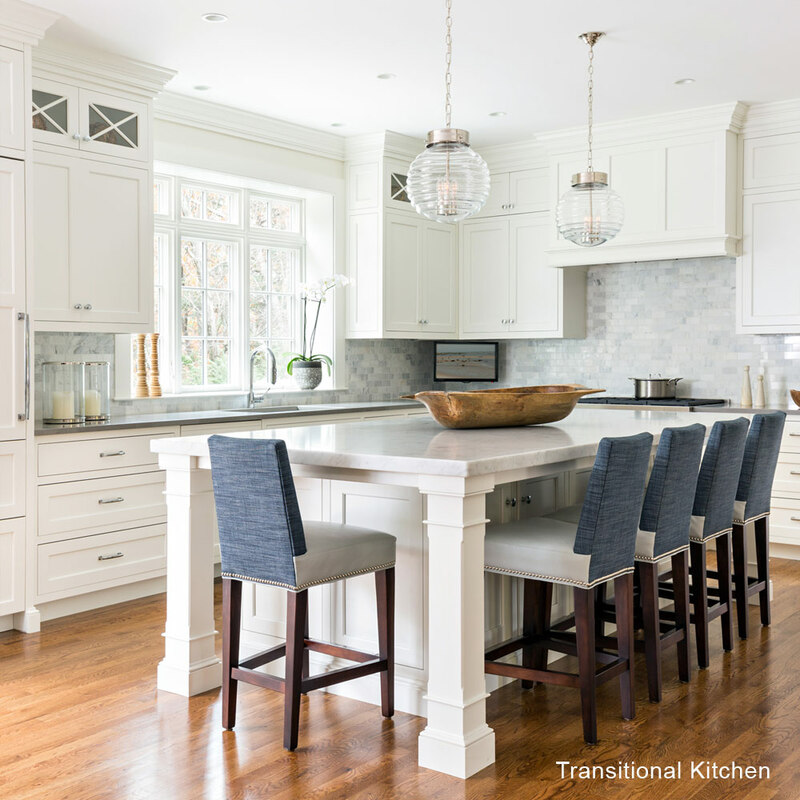 A Lewis & Weldon Custom kitchen with a beautiful hickory island, floors and stools. 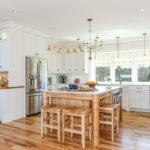 Hickory is a very hard and dense wood, which made it a good choice for this kitchen island due to its natural beauty and durability. 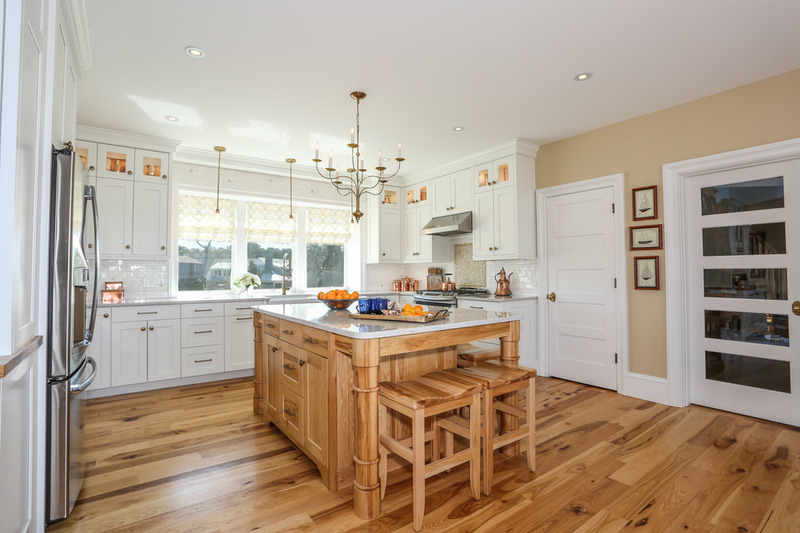 The color varies from light to dark with strong grain texture. 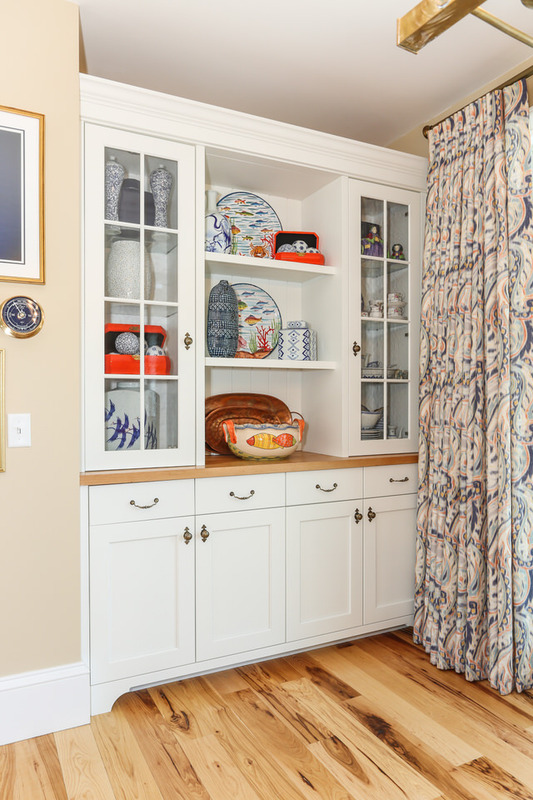 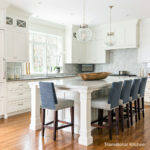 Often hickory in cabinetry is associated with rustic, country, but the material has found its place in modern designs too, especially when paired with white cabinetry. 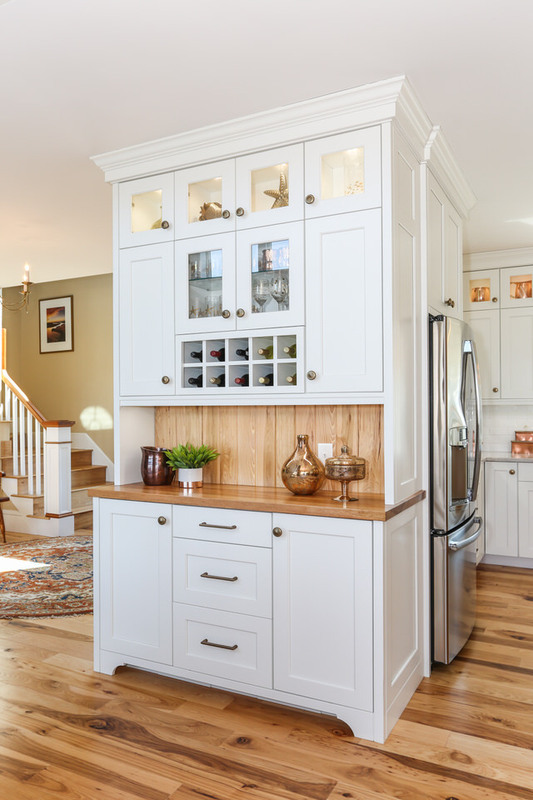 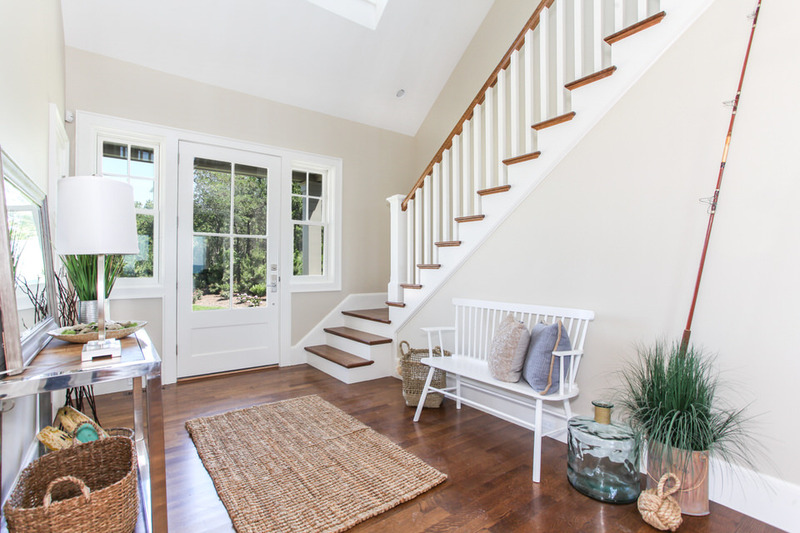 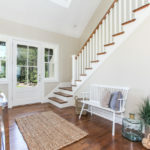 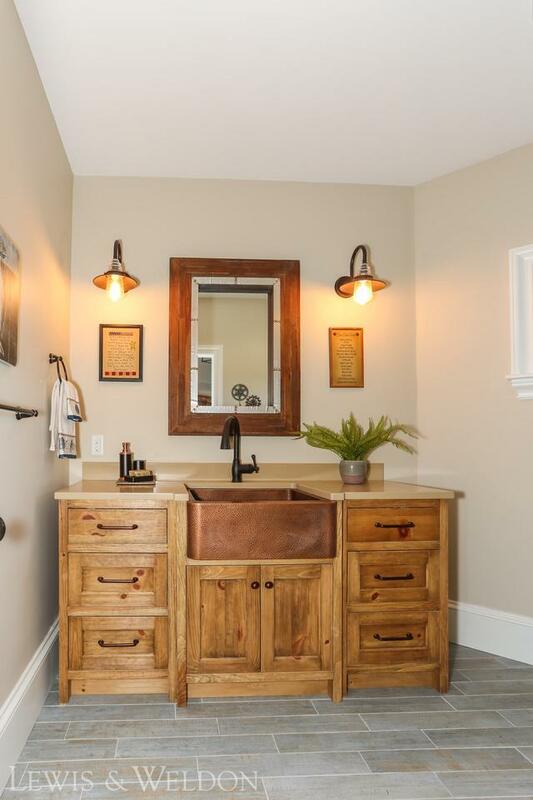 The hickory was used in other areas of the home including built-ins, the banisters, stair treads and also one of the bathroom vanities to create a consistent flow throughout the home.